Now that Big Sister is well through her second semester of her freshman year, we’re gearing up for our next college search. But this one’s different. Big Sister KNEW with absolute certainty that she wanted to go to a big school–until she realized, fairly late in the game, that she wanted the sense of community that comes with a small school. Little Sister, who is now in her junior year of high school, KNOWS she wants a fairly small school, believing she’ll feel more comfortable and secure. than when she is in the pool. Missing practice makes her cranky. She knows she wants to swim in college. 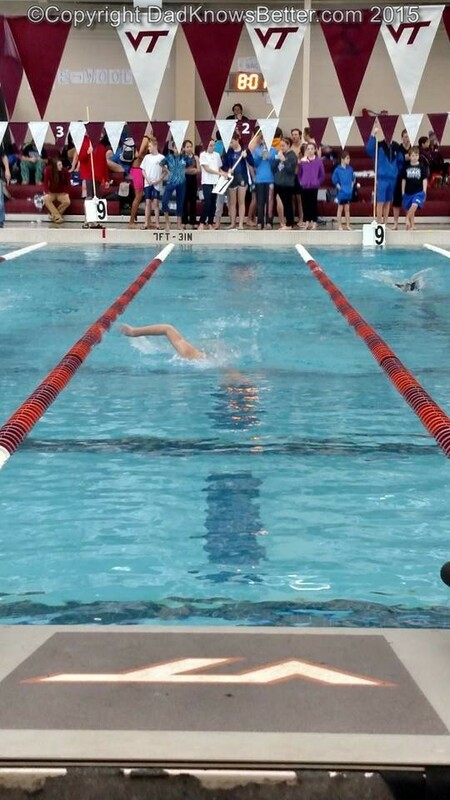 It is worth mentioning that Little Sister has learned from 2 local swimmers that the Division I vs. Division II choice is important–and personal. She knows an exceptional swimmer who went to the most competitive Division I school (s)he could, and who was completely happy to be included on the roster for only some of the travel meets. On the other hand, she knows another talented swimmer who chose the Division II route, also completely happy, starting a college career solidly in the middle of the roster this year as a freshman, participating every time the team is in the pool. Little Sister knows that to her, swimming trumps status (Division I, big conference school, etc. ), so she wants to find a school where she will be guaranteed the opportunity to swim full-time for her entire 4 years if she chooses. She has created a long list of mostly D-II schools. So–at least for now, knowing that the search could change as we go–we are looking for a school where 1) she will feel safe 2) she will get a good education, and 3) she can compete in the pool. I am looking forward to going with her on this ride.